Now that we’re back from honeymoon and things have started to settle down a bit, Jani and I just wanted to drop you a line and let you know how much we appreciated everything you’ve done for us this past year…Your knowledge and confidence during the planning sessions and your willingness to listen to whatever ideas we had to incorporate into the ceremony and reception really helped keep everything on an even keel and enabled us to have a truly amazing day, without undue worry or panic. As for the day itself. 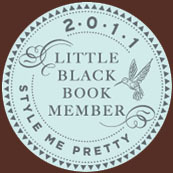 […] Lisa, we were stunned when we first walked into the banquet room to see how it looked. It’s amazing that you could have created that space the way you did: when we first saw it, Jani said “it’s like she saw everything I wanted in my mind and made it better”. 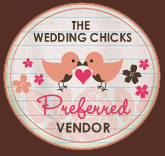 While the services provided by our many vendors were all excellent, we recognize that many of them came with your recommendations and that your co-ordination of all those services is what enabled the vendors to help give us the spectacular day we had dreamed of. We naturally hear a lot of talk about how “it’s not about the wedding but about the marriage that follows” but let’s be perfectly honest: the wedding is the first, and sometimes the only, chance families get to really learn to know one another and to carry on a celebration in public and affirm both to the married couple and to each other that they are all together a family and a community. The marriage doesn’t happen in isolation and these people who are so important to us now feel even closer and more invested in our lives because they got to come together and share this spectacular event. 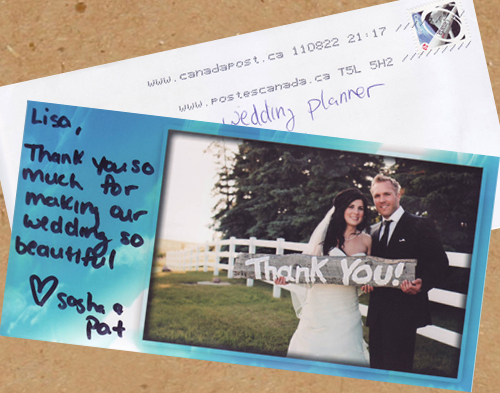 We received this thank you card from Sasha + Pat today. 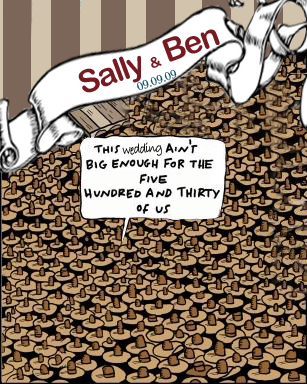 They had the chic burlap tent wedding in July. You’re so welcome! It was a pleasure working with you…and yay for no tornadoes! Originally published in Weddings in Alberta Magazine, August 2011. We have a lot of guests traveling from out of town for our wedding. What are we expected to pay for? How involved should we be in the planning of their stay? Some couples make the decision to factor their out-of-town guests’ hotel rooms into their budget (or all of their guests’ rooms if they’ve chosen an out-of-town venue), but for the vast majority of couples, this is not common. You should absolutely arrange for a block of rooms with a good room rate at one or more hotels, but you are not obligated to pay for their rooms. You should also put some time and effort into making your out-of-town guests feel welcome: provide a list of suggested of activities in town, perhaps a welcome bag for their hotel rooms (even something as simple as a bottle of water, snacks and a little note is always very much appreciated), and if possible, invite your out-of-town guests to the rehearsal dinner and/or the day-after brunch. We are not having a wedding party for our very intimate day. What should we do with the rings and who should hold my bouquet during the ceremony? Intimate weddings are just lovely—there’s no need to worry about not having a wedding party. Your officiant can take your bouquet from you at the appropriate moment and set it down on the altar or signing table and you can retrieve it after you’ve done the signing so you’ll have it for your recessional back down the aisle. As for the rings, you have a couple of choices: either give them to the officiant before the ceremony or your fiancé can put them both in his pocket and hand them to the officiant during the ceremony. We’ve had a major misunderstanding with our caterer, and now they are no longer in our budget. What do we do? First, check your contract to see if your deposit is refundable or if it is even possible to cancel your contract (this usually depends on the amount of time until your date: is your wedding still a year away or is it next weekend? Typically the nearer your date, the less flexibility you’re going to have in the contract). If there’s no time to find another caterer or if you’re locked into your contract (or you can’t afford to give up your deposit), you’ll need to take a deep breath and adjust the vision for your reception. Perhaps you can eliminate a course (or two) to get the costs back in your budget range. 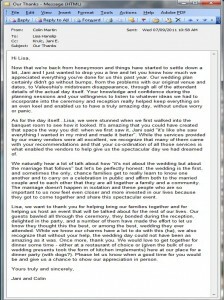 If it really was a major misunderstanding and it is not feasible to hire another caterer to take over, you might need to go so far as changing your reception from a sit-down dinner to a cocktail reception. If you do change from a sit-down to a cocktail reception, make sure to alter the start time of your reception so your guests won’t be expecting a full meal. 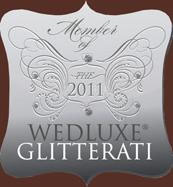 If you are able to get your deposit back and get out of your contract with your caterer, find your way to a more affordable caterer (ask your other vendors and talk to other brides for recommendations), but make sure to do a tasting and be very clear about your expectations and compare it to what they’re able to deliver before you commit to anything. 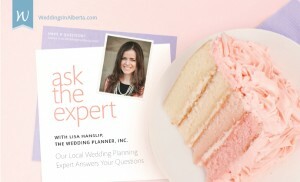 If none of these options is viable, you really only have one other alternative (if your invitations haven’t gone out yet): you’ll have to cut your guest list to a number that will make your caterer fit in your budget. This can be difficult and fraught with familial discord, but you need to pick an option that won’t break the budget while still allowing you to enjoy your big day. Whatever you decide…good luck and bon appetit! We’re not sure if we want to do a cake cutting and all that goes with it. Why do couples cut the cake and feed it to each other? The wedding cake dates back to Roman times when the cake was actually part of the ceremony. The customs and symbolism surrounding the wedding cake have morphed—sometimes rather unpleasantly (breaking the cake over the brides head anyone? )—over the years, but now the cutting of the cake symbolizes the first task the bride and groom complete as a married couple. Many couples include the cake cutting purely for the photo op and the enjoyment of their guests. It’s always a favorite moment for guests to take a pic of the happy couple. Feel free to skip the “feed it to each other” part unless you have a burning desire to do so. Have your photographer or planner tell you the best angle for your photo op: both of you hold the handle of the knife and make a cut in the bottom or middle layer. When you’ve completed the cut, keep your hands on the knife, look up and smile—you’ll probably need to hold the pose for several minutes while all the guests get their photos. Even if you plan to have cupcakes or macarons instead of a cake, it’s nice to have a small cake so you can make the ceremonial cut. However, there’s no reason you have to have a wedding cake at all – perhaps your venue is known for a particularly fabulous type of dessert which you’d rather serve your guests. But if you do decide to have the wedding cake your guests will expect you to cut it…let them cut cake!